Here’s to all the crazies in this world!! I recently read the biography of Elon Musk, and what an inspiring story, I must say. 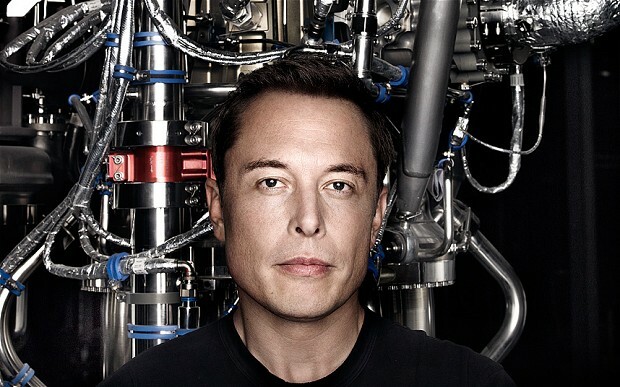 Elon Musk has surely joined the elite group of other crazies in this world, who have dared to envision a different world – Steve Jobs, Henry Ford, Bill Gates. The tenacity and perseverance that these guys have is unmatched or even unimaginable. But more important, the quality of clearly seeing a world 10-20 or maybe 50 years from now is the quality that distinguishes these crazies from the mere mortals. I know the naysayers will bring up stories that will show how these people have built companies on others’ ideas, and how I am just drinking the kool-aid or being a blind follower. However, there is a big difference in the people who invented these things, vs. who either envisioned a future or dared to take steps to make this a reality. Though the idea of operating systems originated at IBM, they did not have the vision to make personal computing a reality. Who would have given this dream to Bill Gates, if there were someone from IBM who believed that computers will be at every desk at offices and homes? Similarly, I am sure Henry Ford had this crazy dream of putting cars in the hands of every person on this earth. I personally believe that those who dream and finally dare are the ones that make it possible. At the same time, I believe that there are certain inventions and technological advances that need to happen to make this dream a reality. This is what some of us call ‘timing’ and most of us call ‘luck’. There are some industries where this timing seems right. Transportation: Technology has advanced enough for us to dream about automated cars. Every car company has been adding small features such as automated parking, automated brakes, etc., while Google has taken the giant leap of actually working on fully automated cars. Someone at Google has the vision that automated cars will be a thing in the next 10-15 years. Maybe, driving cars manually will be illegal then, similar to driving under influence. Space travel: I always fathom how it would be if we get to go back in time and tell someone from 1800s the technological advances that we have had so far. Forget about air travel, they wouldn’t even believe us if we told them that you can get to the next town 100 miles away in less than 2 hours. But there were people who dreamed about cars and airplanes and made it possible to travel long distances. Similarly, space travel for leisure and human colonization on other planets seems like a joke right now, but if we were to be alive in the next century, I won’t be surprised to see a weekend leisure trip to moon. It just takes that one crazy person to make it possible. Similarly there are other industries, which are showing signs of disruption. Banking: Are traditional banks the right approach for the future? Are they on the brink of extinction in the face of Paypal? Has technology disrupted enough that the next set of companies will just topple traditional banking? Education: Is institutional education too overrated? Companies like Khan Academy, Udemy, Coursera, Udacity have taken the first steps towards democratizing education? Is there a visionary out there who will just make institutional education outdated? How could Quora improve their onboarding flow? What should Facebook build next? Thinking about starting a company?